I thought they would be popular, but even I was surprised! When I heard that Phonak was launching a rechargeable hearing aid option I was a little surprised. Rechargeable hearing aids up to now have not been popular because of worries about getting a full day of use out of them. 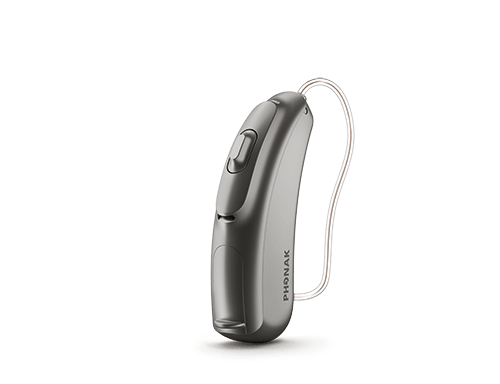 However, when I heard that Phonak were introducing a brand new technology to hearing aids, I felt a bit more confident. I mean who doesn't want to be rid of fiddly hearing aid batteries? Users hate hearing aid batteries, they don't like the extra expense and many find them fiddly and irritating. So who wouldn't be glad to be rid of them if there was a good alternative? Let's take a look at what all the fuss is about. If you would like to talk to me about hearing aids, hearing loss or hearing care, don't hesitate to call on 0800 1 69 68 62 or book an appointment online now. The Audeo Belong hearing device range was the first of the Lithium-ion powered hearing devices to be released although it was quickly followed by the Signia Cellion. 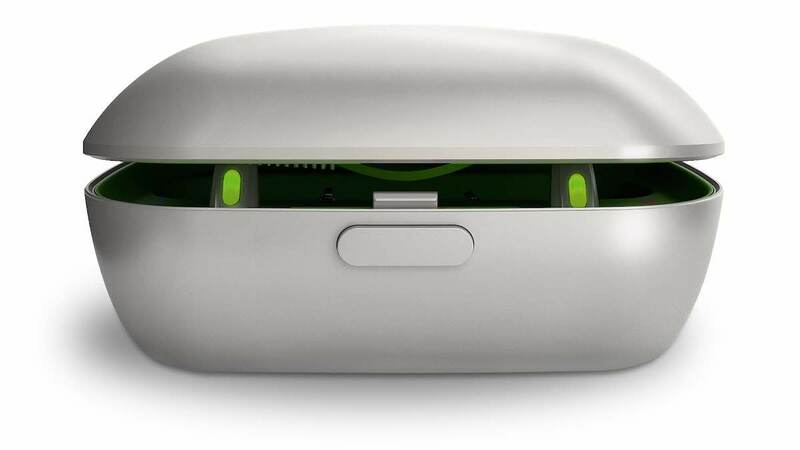 It is also the first ever Phonak hearing device range with a rechargeable option. 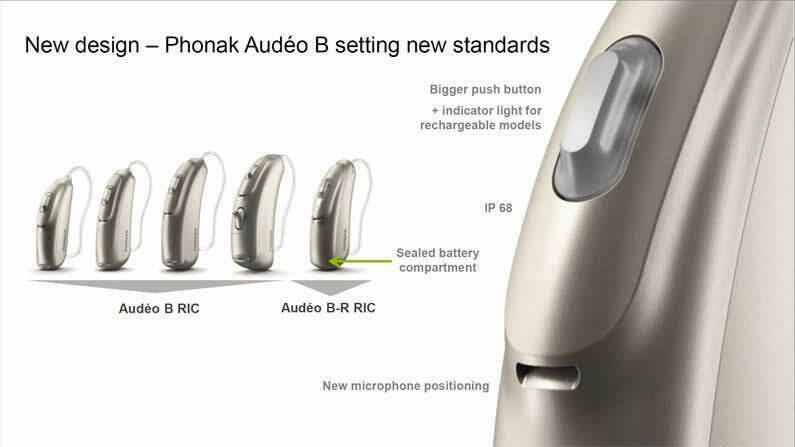 Phonak have offered the option as part of their new range of Audeo Belong hearing aids which comes with an upgraded operating system, the latest version of Phonak's SoundRecover2 and brand new microphones and programme buttons. The range uses the existing Venture chipset and is available in four technology levels, the 90, the 70, the 50 and the 30. However, the rechargeable option is only available in the 90, 70 and 50 level of technology which means that if you want to get this amazingly popular device you will have to move up to the 50 level at the least. Before I move on to talk about the full range and what it offers, I would like to talk about my experience with the Audeo B-R. I have a couple of customers who have now bought the devices and they are exceptionally pleased. They say the sound quality is excellent and they absolutely love the charger. They really love the fact that they don't have to worry about batteries. They can just take the hearing aids out of the charger in the morning and get on with it. One of my customers uses a phone streamer for his mobile phone and he gets a full day of use out of one charge even if he has taken a few phone calls. He was extremely happy with that, because he was a little worried. I have to say everyone so far has been really pleased with their new hearing aids and I have not come across any problems with them. Back to the hearing aids. This is a very small RIC device which uses a size 10 battery, it is quite discreet and can be used with several receiver variations meaning it can cover a lot of hearing losses. It doesn't have a telecoil although as always it is a wireless device. It has a button but no volume control and it is available in all levels of technology. This is also a very small RIC device, however, it uses a size 312 battery, it is still very discreet and can be used with several receiver variations meaning it can cover a lot of hearing losses. Like the 10, it doesn't have a telecoil although as always it is a wireless device. It has a button but no volume control. The RIC device that all the hype has been about, a rechargeable hearing device running on Lithium-ion power. A solid 24 hours of use from one three hour charge. It can be used with several receiver variations meaning it can cover a lot of hearing losses down to profound. It is also a wireless device with a programme button but no volume control or telecoil. As I said though, it is only available in the 90, 70 and 50 levels of technology. If you have any questions about the hearing aids, hearing loss or hearing healthcare, give me a call on 0800 1 69 68 62 or book an appointment online now.